up to 40" x 96"
D & F Mold designs and builds top quality, high volume die cast dies for a variety of markets. We build dies for machines ranging from 400 to 2000 tons. Our dies are built to provide you years of service, maximizing your investment. 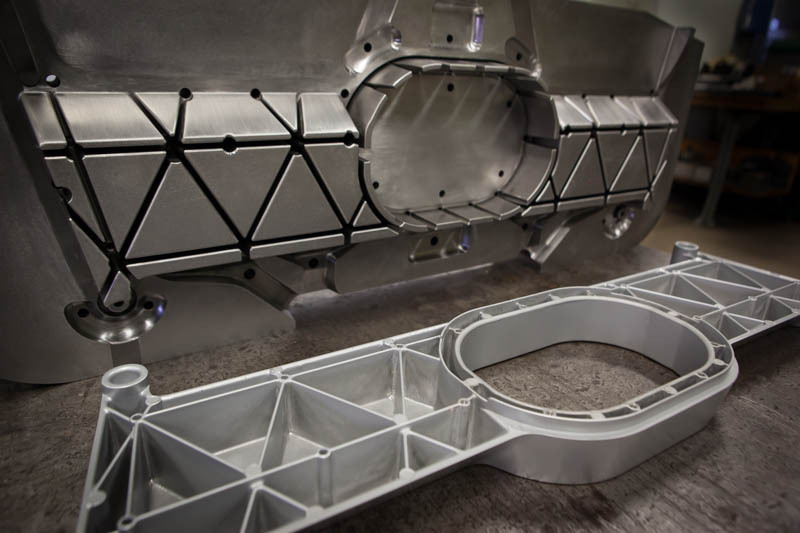 D & F Mold has all the expertise and technical capabilities to build an entire tool from concept to completion. This helps streamline the tool build schedule and shortens your time to productivity, minimizing your clients’ time to market. We at D & F Mold take pride in building the finest production dies and molds that can be built. Whether you are investing in a complete new tool or refurbishing an existing tool, you can be assured that the attention to detail is the same. The world of die cast tooling has expanded greatly in a short period of time. With So Many choices, How do you decide? At D & F Mold we have built our business on serving our customers needs and developing the trust to know what your needs are before you ask.